'Tis the season for love. Just as Cupid readying to take his shot, Prince closing his eyes as he unspools 'Nothing Compares 2 U' and Kanye West poising on the brink of another social media-saturating display of affection for his gawdess Kim, we too have been swept up in the throes of intoxicatingly dancey passion. 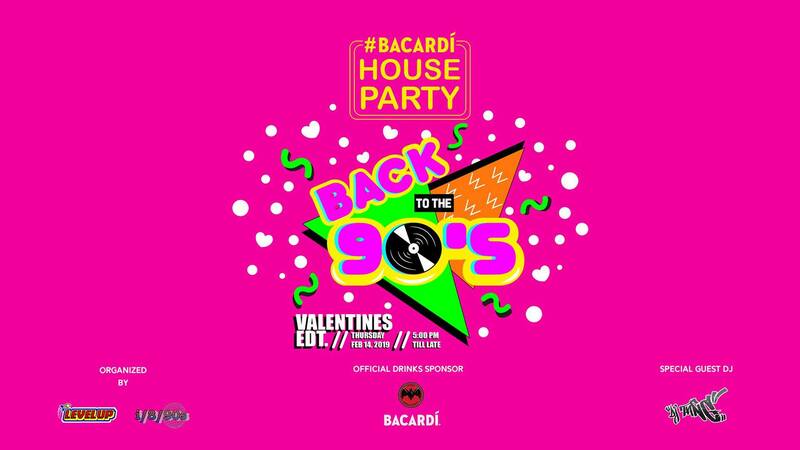 That's why we've put together this list of the best parties to attend this Valentine's Day. Whether you're single, attached or in one of those "it's complicated" fixes, may you find love on the dance floor at these heaving shindigs. "When you're feeling all alone / All you gotta do is just call me, call me" – That's an open invitation from one of the best in the game. 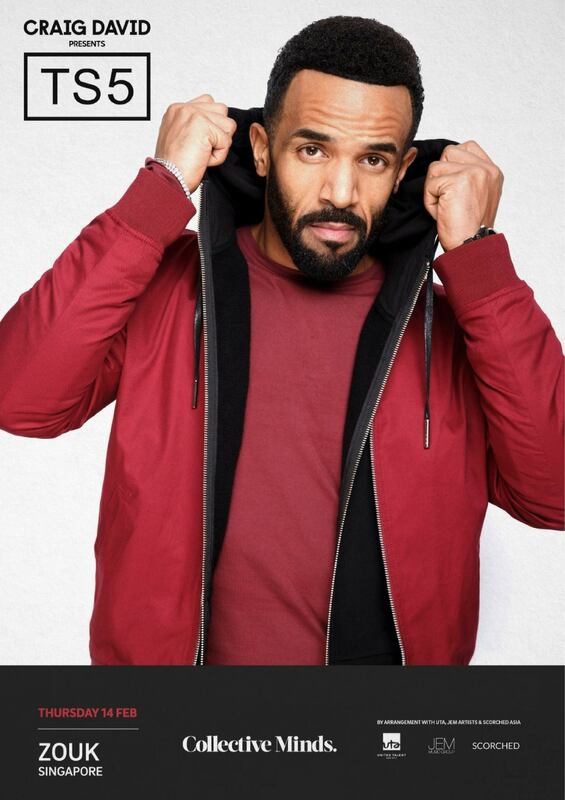 Craig David is one of the torchbearers of quivering, ultra-smouldering R&B and, on this auspicious day, the good people at Collective Minds have enlisted him to treat you to his gifts, live. On his single 'PILLOWTALK', noted relationship expert Zayn Malik describes love as a war zone. This Valentine's Day, up in the sky, CÉ LA VI celebrates the spoils of war, as well as the blood, sweat and tears shed during battle. 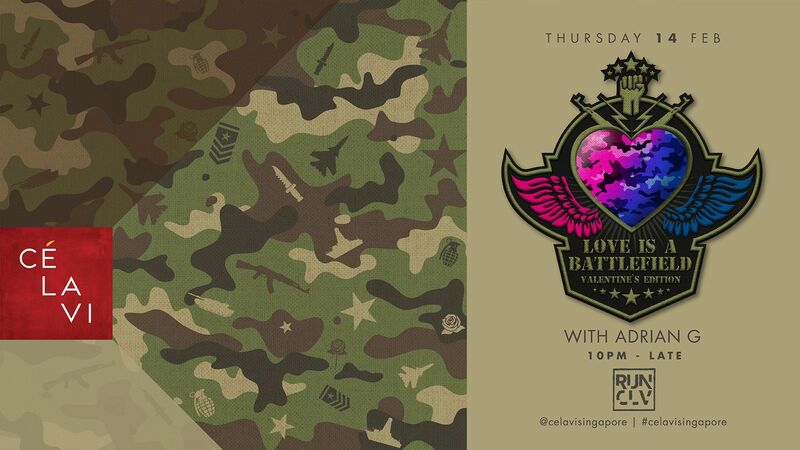 Soundtracking it all with a vast payload of hip-hop and R&B, will be guest DJ Adrian G.
This one's for the singles (or single-inclined). The hip-hop ambassadors from the Matteblacc crew will be bringing the gold, as will Trumpet Z & The Boogie. 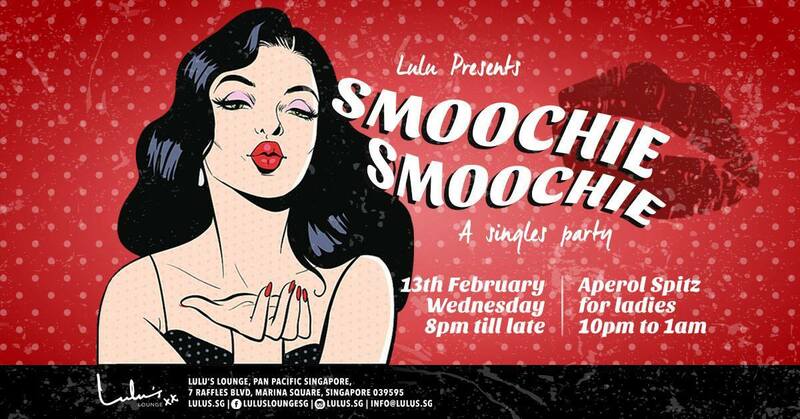 Jams, drinks and good vibes – the most spellbinding constellation in the universe of love – all align at Lulu's on V Day eve. This is what it says on the tin: "To the lovey sweethearts, complicated maybes and bitter nevers, bring your valentine, or lack thereof, and have a royally unpretentious night!" Besides, Koligraffi and Abouritz will be helming the sounds. 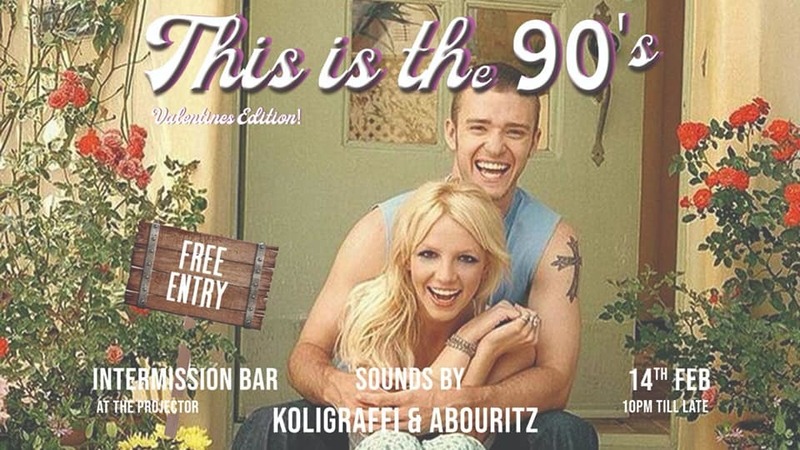 Nostalgia is the move at NINETEEN80 this Valentine's Day as the club honours one of the most emotional days in the calendar of one's love life, Prom Night. The greats will be in attendance too, as a nonstop stream of hits by players such as Bryan Adams, Whitney Houston and Air Supply suffuses the atmosphere within. 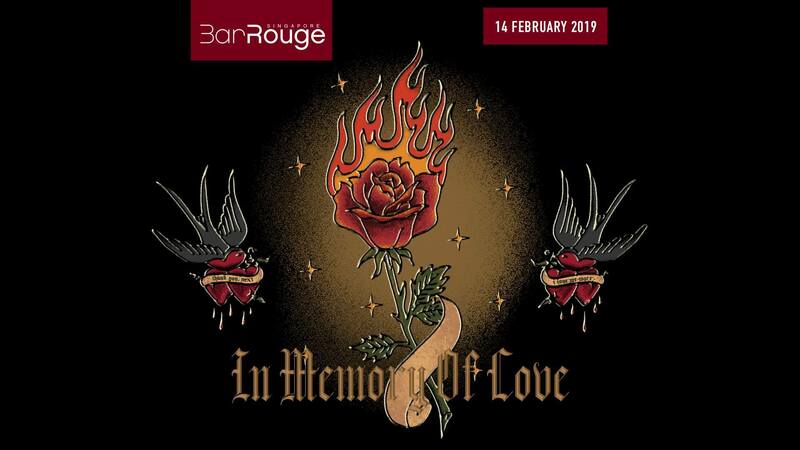 Besides complimentary entry all night long, enjoy a delicious payload of food and drinks, as well as body-moving music by Bar Rouge's resident DJs. Throwing back to the one of pop music's fabled golden ages, Level Up promises a night of '90s-celebrating revels. 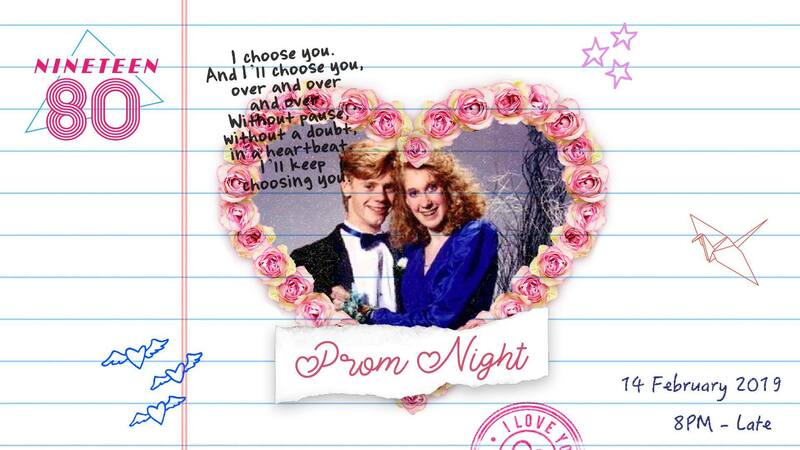 Arcade games as well as timeless hits from the era of the Compact Disc, via DJ Tang, will be part of this night's romantic time travel. "Valentine's day is not just for lovers, this February, LAVO Soiree celebrates all pairs who complement each other to make the perfect pair" – this includes any fulsome twosome. Whether you and your better (or not) half are Batman and Robin, peanut butter and jelly or even Kanye and Kim, LAVO will celebrate you.